FoundationGIVE is a hub for your teachers’ requests for resources and your business partners’ opportunities—helping everyone succeed. 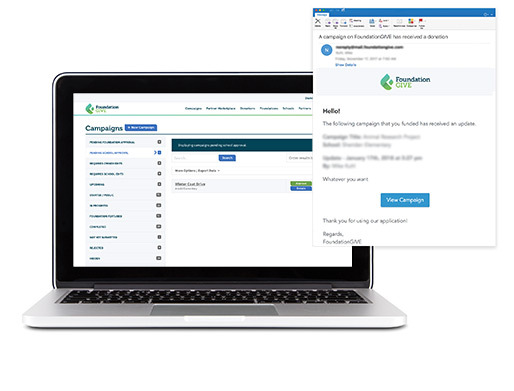 The centralized administration portal for FoundationGIVE provides the opportunity for all users to create and manage campaigns, review the status of the campaign, provide campaign updates, and process both donations and refunds. After registering, users can easily create and launch campaigns. This includes administrators, teachers, PTOs and foundations. 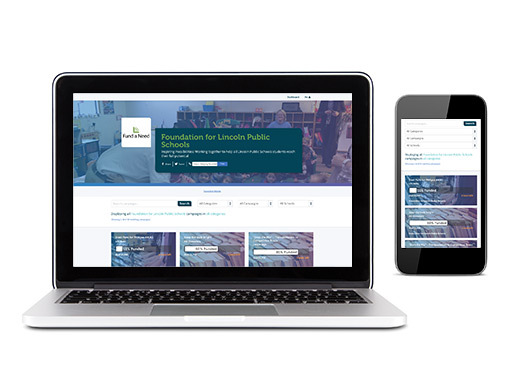 All of the campaigns across your district are aggregated on a custom landing page. 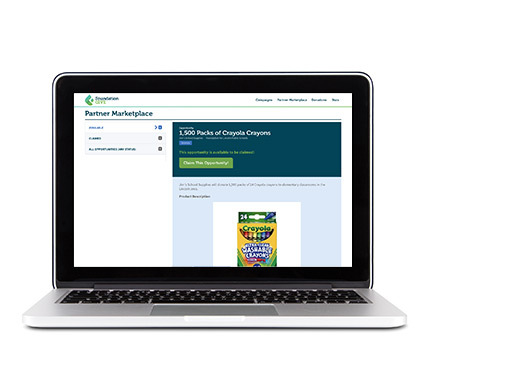 Launch donor marketing campaigns and social channels to help match donors with areas of need. Teachers and PTOs can easily share campaigns with school administrators and foundation staff for reviews, edits and approvals. 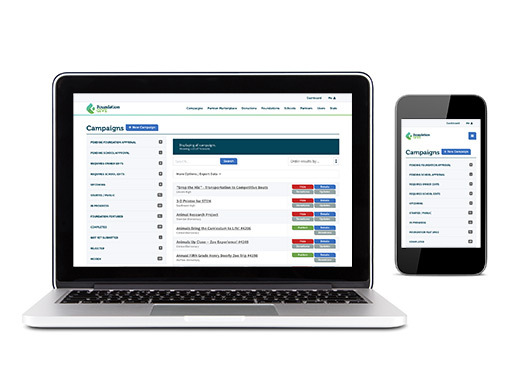 Administrators and foundations can also monitor the status of all campaigns from a single dashboard. 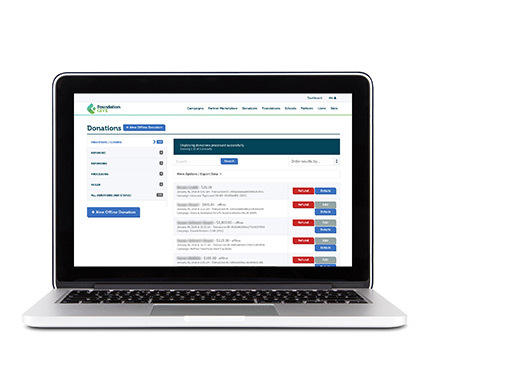 Campaign managers can effortlessly process online and offline donations. Thank you receipts are automatically sent to donors within 24 hours. Powerful reporting tracks all fundraising activity. And the system enters donors into your existing donor management system. 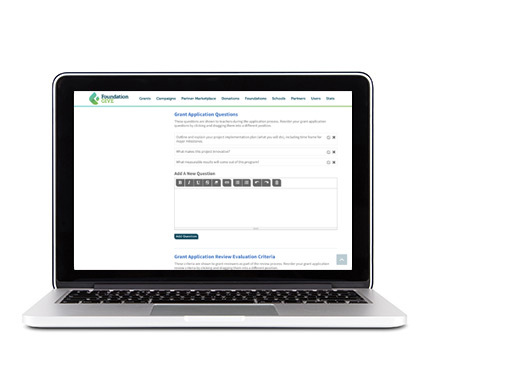 Create your own application questions to fit the needs of your district and specific grant program requests. Teachers provide a detailed budget outlining all expenses. 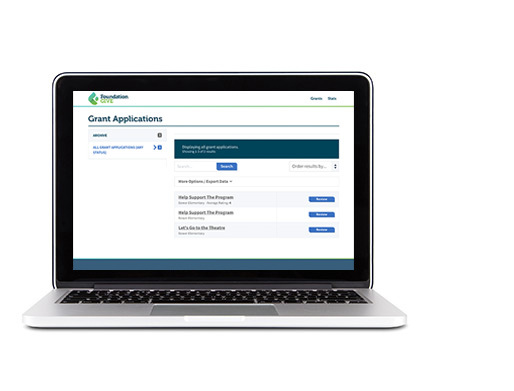 Principals and district admins can be configured to approve all grant applications as they are submitted, ensuring exposure of needs and transparency. 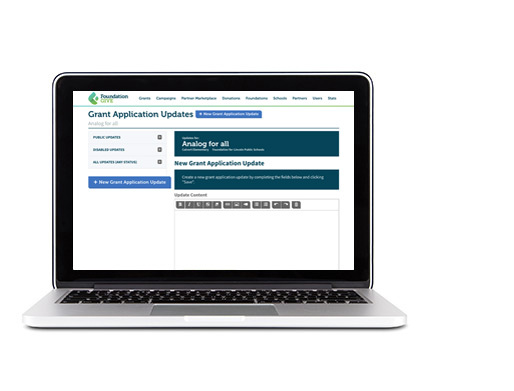 Provide access to your grant review committee. 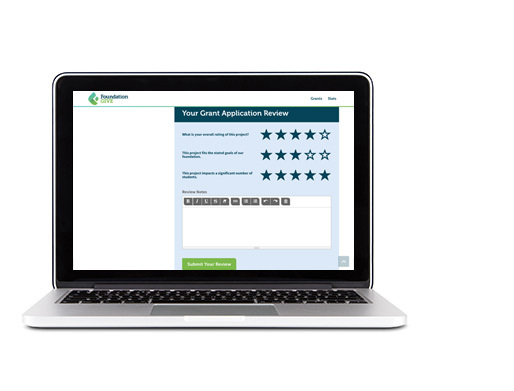 The platform’s dashboard tracks their progress so you know who has completed their reviews, as well as those who still need to provide their assessment. 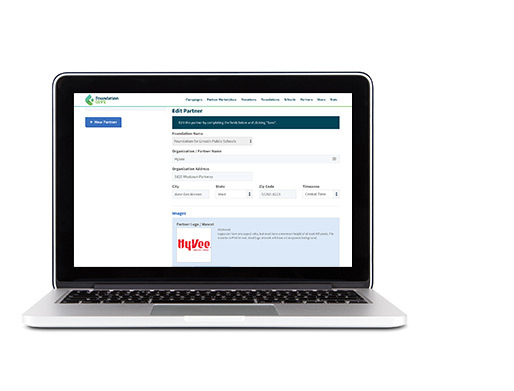 Upload your scoring rubric using a five-star scoring system to help guide your foundation’s priorities. All scores will be reported in aggregate and exportable as .csv for further analysis. After awarding grants, use the platform to request updates from teachers, tracking impact and collecting valuable stories. Once a business partner creates a profile, they can offer any in-kind or volunteer opportunities to foundations and school districts. 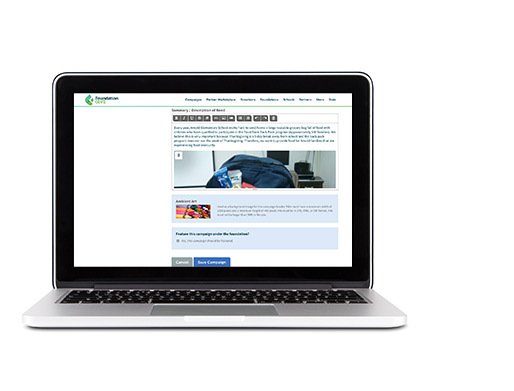 FoundationGIVE provides the ability for all opportunities to be given equal exposure across your schools. 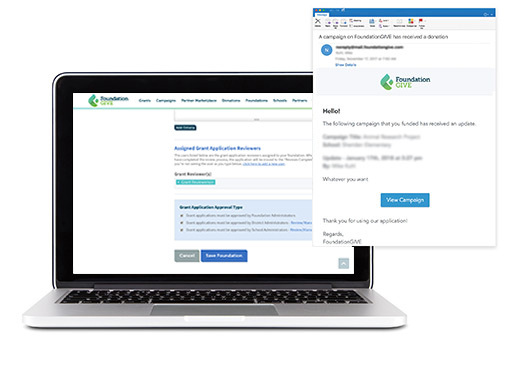 FoundationGIVE displays all opportunities in a shoppable interface, so that teachers and PTOs can claim a company’s offering and communicate directly with that business to arrange delivery.